The city of Melbourne is found in Brevard County, Florida. It has a population of about 78,500 residents and it's considered a part of the larger Palm Bay-Melbourne-Titusville Metro area. The Metro area has a population of about 550,000 residents. Brevard County is the tenth largest in the state of Florida and includes the John F. Kennedy Space Center. It's known as the Space Coast and many visitors come to the area every single year. The mixture of visitors with the population of residents brings a number of different driving styles to the area. Melbourne is served by many major roads including US 1, US Route 192, Interstate 95, State Road A1A, State Road 507 and many more. The Florida stretch of I-95 is considered the most dangerous highway in the country. Brevard County averages about 4,500 traffic accidents every year with around 200 fatalities and just about one injury per accident. Traffic Accidents in both Melbourne and Brevard County are on the rise. If the authorities in charge of monitoring the traffic didn't do their job in Melbourne, the crash statistics would be far worse. Nearly 27,700 traffic tickets were received by drivers in Brevard County for 2015. Out of these violations over 13,000 were given out for speeding with another 2,557 for careless driving and over 1,500 for running a red light or stop sign. Only about 10% of the total violations handed out were dismissed by a judge. The chances of getting out of a ticket in Brevard County are very slim. After too many traffic tickets, drivers in Melbourne may face a license suspension. This happens when you accumulate 12 points on your clients in a year, 18 points in 18 months or 24 points in three years. These carry a 30-day, 90-day and 365-day suspension with them, respectively. It's not hard to rack up enough points to have your license suspended if you become a habitual offender. In addition, it's possible to be ticketed for more than one violation within the same stop. If you do end up with a suspended license, you will have to pay a reinstatement fee. You will also face up to 90 days in jail and a $500 fine if you get caught driving with a suspended license. If you follow these steps you will keep points off your license and your insurance rates won't skyrocket. 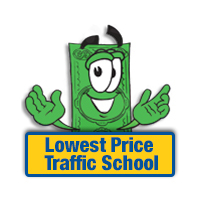 When you decide to use traffic school, you do need to check your eligibility with the clerk of the court. 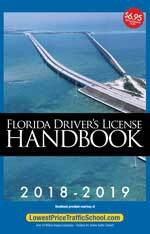 The State of Florida allows all drivers to use the basic driver improvement course to avoid points 5 times in their lifetime. However, you can only take the course once every 12 months to avoid points on your license. If you've never taken the course or you haven't taken it 5 times or in the last 12 months, you're probably eligible. You can check with the clerk of the court just to be sure. No matter which branch of law enforcement issued the ticket, the Brevard County Clerk of the Court will handle payments and information about your ticket. You will also need to inform the clerk of the court if you plan on enrolling in online traffic school. Find out more about the Brevard County Clerk of the Court by visiting their website.